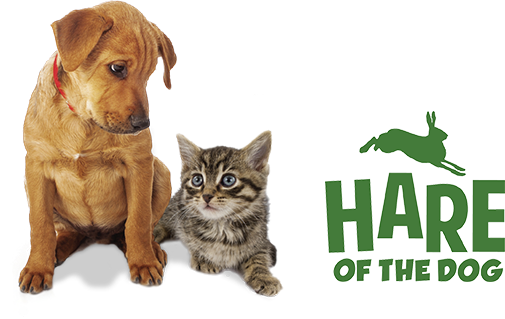 Hare of the Dog – …dogs love rabbit! always known ... Dogs love rabbit! The USDA calls rabbit the most nutritious meat available. Why rabbit? Higher in protein, lower in fat, lower in calories and lower in cholesterol than chicken, veal, turkey, lamb, beef or pork. Because it is easy to digest, vets frequently recommend rabbit for dogs with sensitive stomachs and gastrointestinal, skin or pancreatic issues. Savvy customers demand higher quality. 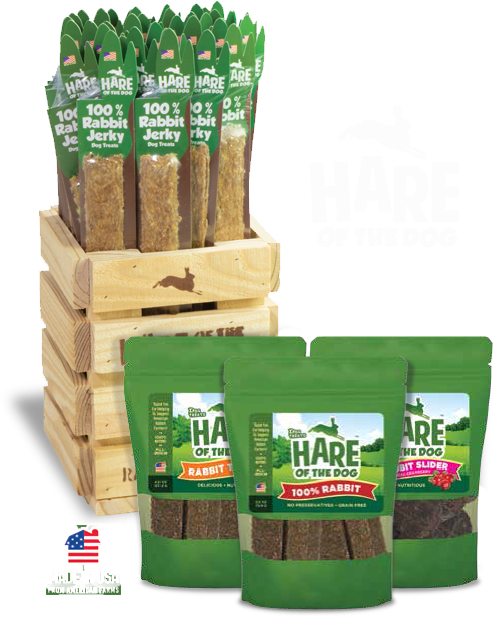 We deliver by only using 100%, USDA inspected, All-American Rabbit, farm raised in the USA. No wheat, corn or soy. 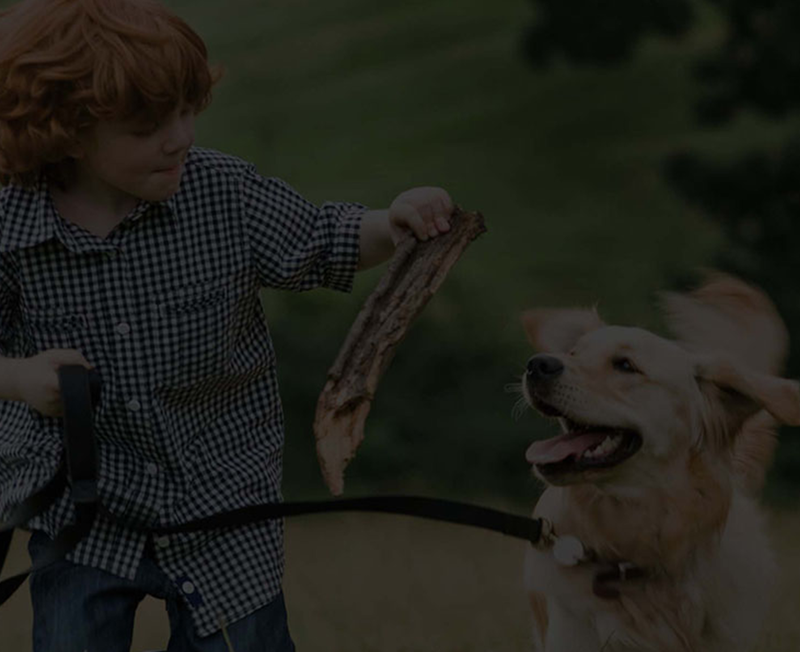 Discover what Mother Nature has always known…dogs love rabbit! Our 100% Rabbit Recipe also blended with sweet potato or aronia berry is sure to please! 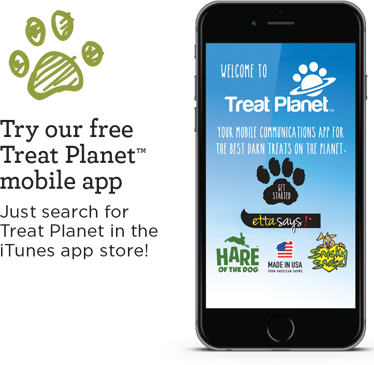 Lean, nutritious treats that pet lovers can use to reward their pooch – confident in its quality and safety. 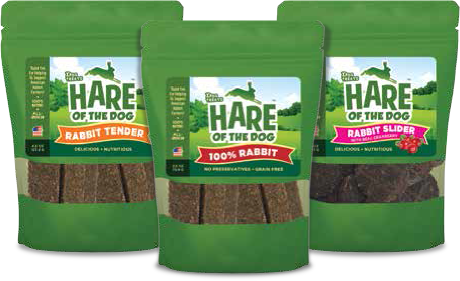 Our 100% Rabbit Jerky Treats come in three sizes to match any dog’s needs. Full of all natural ingredients, these tasty treats will disappear fast! Choose from our 100% Rabbit tenders to our Rabbit Sliders with Real Cranberry. 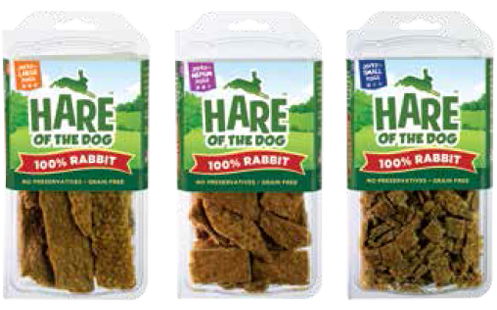 All of our Bagged Rabbit Dog Treats are full of all natural ingredients. 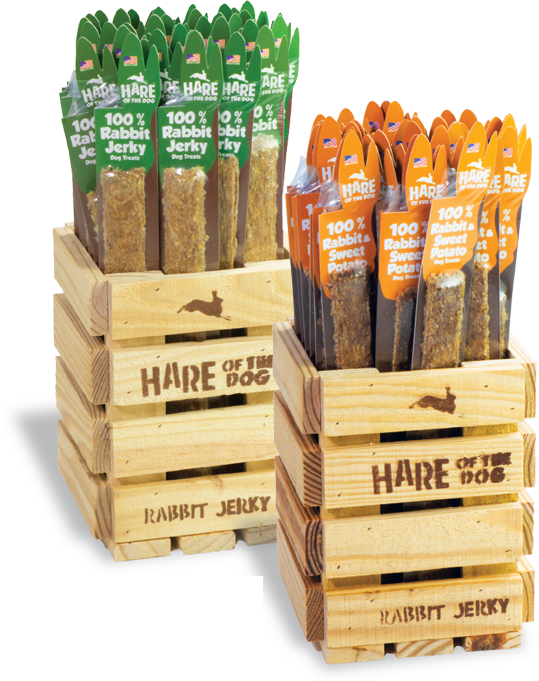 Our Jerky Treats are available in 2 flavors: 100% Rabbit Jerky, and 100% Rabbit and Sweet Potato Jerky! We didn't forget our other fury friends! 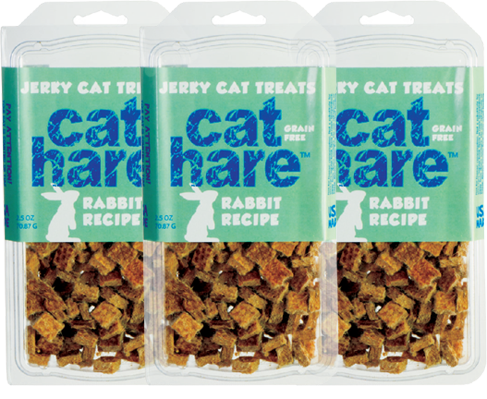 Cats will love the taste, and owners will love the benefits of this 100% rabbit product. It is just what Mother Nature intended for cats too!